From before the Middle Ages, during, and beyond, tunics have enjoyed popularity across cultures and classes. 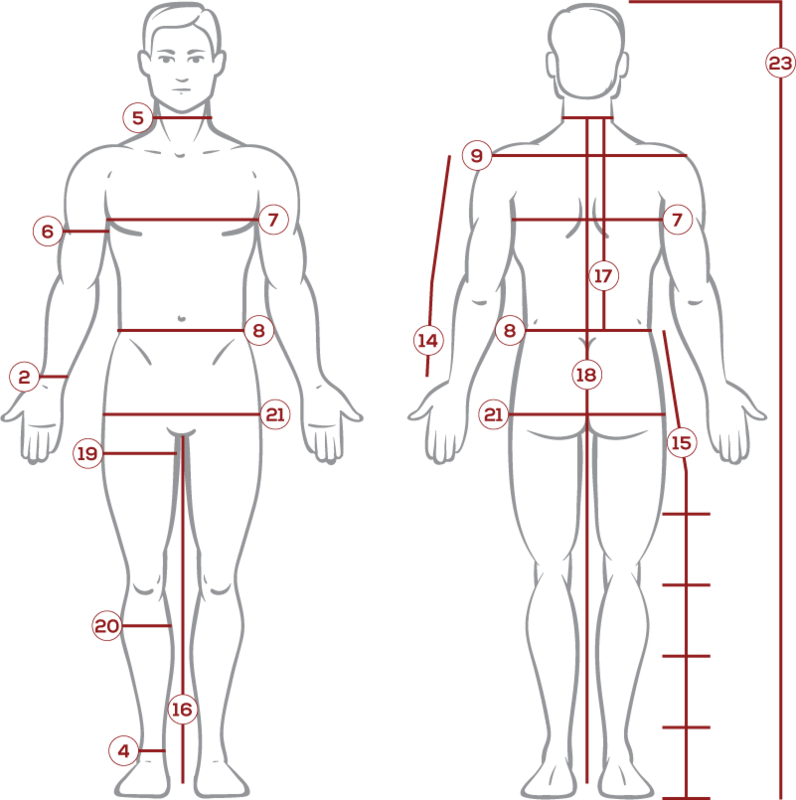 Your Dressmaker offers you a selection of historic tunics as diverse as their usage throughout history. 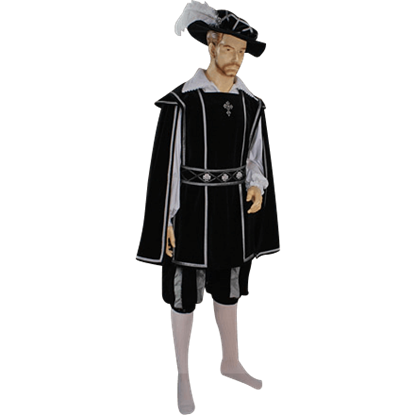 These historic outfit essentials can be worn by almost any member of medieval society and range in length from anywhere below the hips to above the ankles. 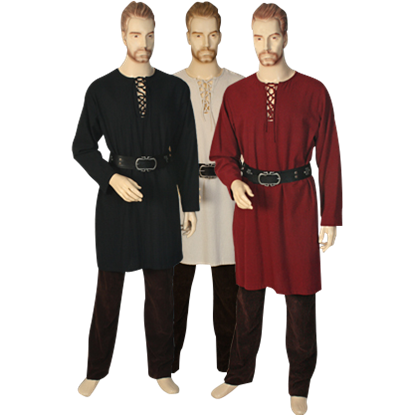 We carry long and short sleeve tunics and tunics with collars as varied as any medieval shirt, featuring lace up neck tunics and tunics with hand embroidered details. 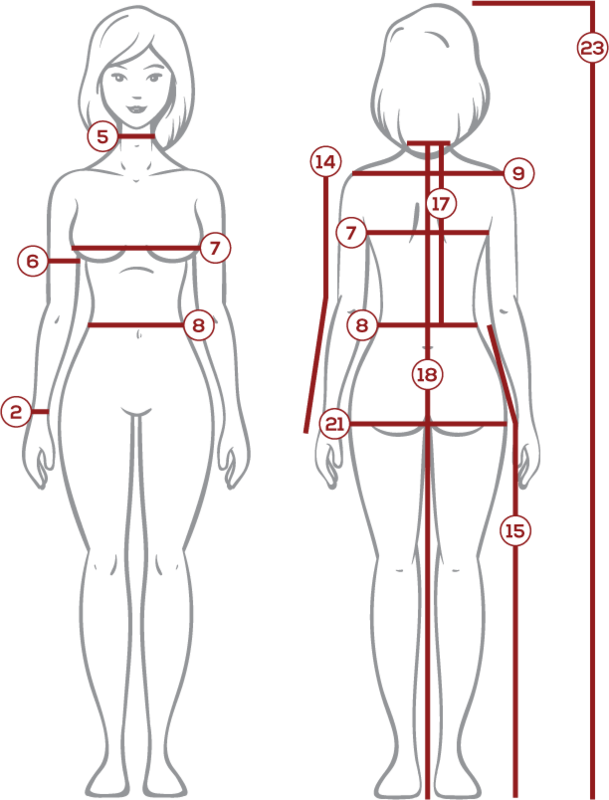 All of our tunics are expertly handmade and can be tailored to fit your specific size. Their superb craftsmanship and authentic designs are ideal for crafting your own impressive historic look. A natural woven cotton tunic is an essential addition to any reenactors wardrobe and is well-suited for peasant garb. 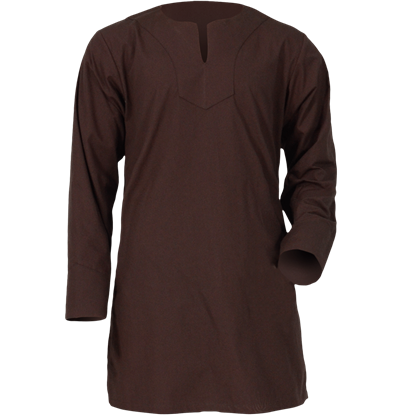 Our soft faux suede tunics in stylish cuts are ideal for members of nobility. 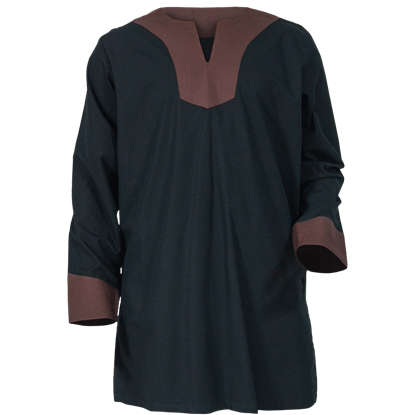 The neutral colors of many of our medieval tunics make them easy to wear, while others feature the bold colors of medieval heraldry to help you stand out. 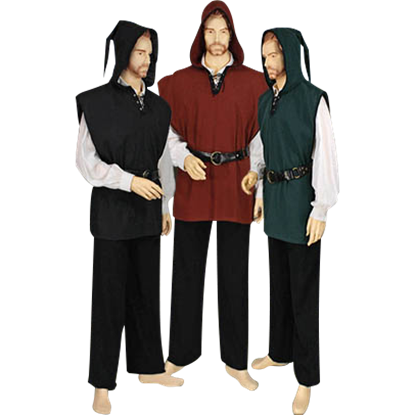 Wear our handmade tunics over a pair of medieval pants or hosen and cinched with a belt, and you will have yourself the start of a medieval outfit that you can proudly wear for Renaissance festivals, medieval LARP events, historic reenactments, and even theatrical productions. 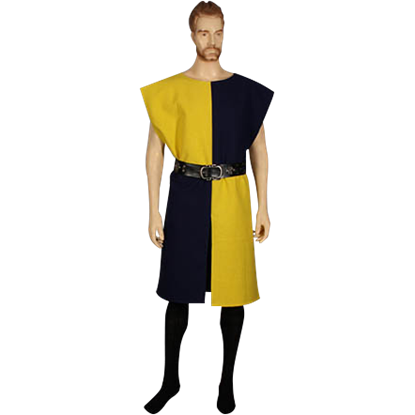 With its quartered design, the Heraldic Tabard has the potential to display a wide variety of color combinations. Beyond the staggering array of color possibilities, however, the Heraldic Tabard is actually rather simple in appearance. 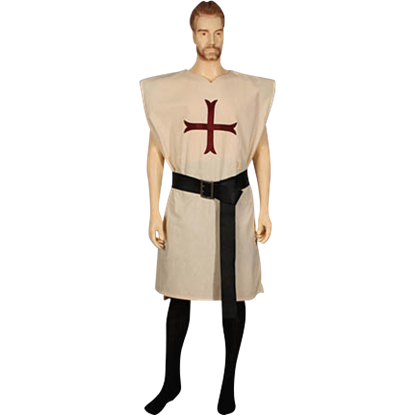 The Knights Tunic With Cross is the perfect tunic to wear if you're looking for a noble, knightly look, this tunic is simply made from 100% cotton and features a knightly cross on the chest, making it a great tunic, both on or off the battlefield. 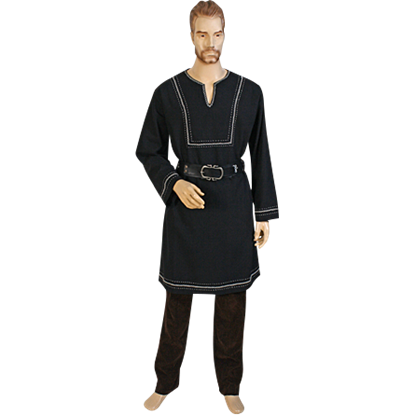 The Medieval Lace-Up Tunic is a simple but none-the-less attractive tunic that can be used in the creation of a dozen or more different types of looks. 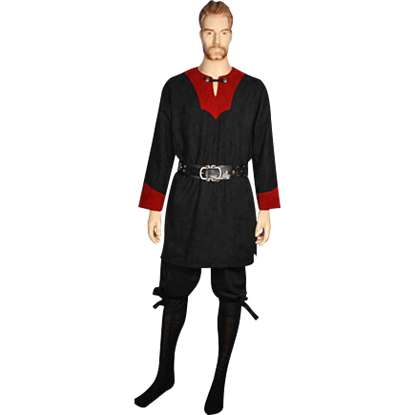 From pirates to poets to peasants and more, this tunic looks great in any style. Like the T-shirt of the modern era, the tunic was once the common choice of attire, which meant that tunics were worn in a variety of ways. 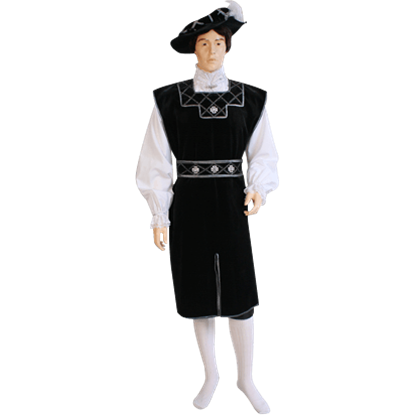 Like its ancestor, the Medieval Tunic with Leather Trim can be worn in many different ways. 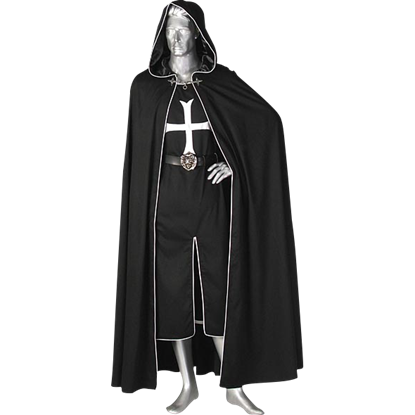 For a classic element of medieval garb, you need look no further than at the tabard. 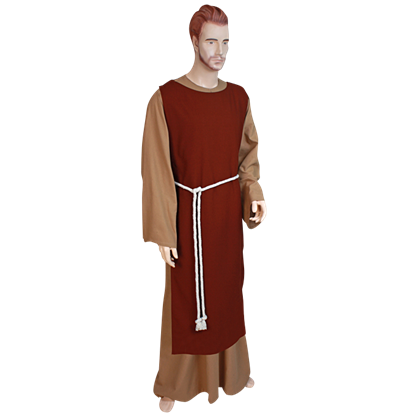 It was worn by noble and serf alike, for countless reasons under the sun, and now you can have one of your own, in this Mens Medieval Tabard garment.